Is It Possible To Truly Save A Crumbling Marriage With Couples Counseling Process? Dealing with emotions is one of the hardest parts of life and most people tend to deny this very psychological requirement rather vehemently. If you are one such person and tend to think that, mental health issues do not require care and help, then it is time to get informed and understand the need for assistance in such situations. The first thing you need to know is the fact that, after a certain time, every marriage goes through a dull phase. Despite doing everything right and caring for each other, the spark seems to be missing and that is one of the biggest reasons for ensuing problems. In such a situation, you need help and Couples counseling can provide that. Understanding The Premise – When the spark in a relationship starts to fade, people try a myriad of things to bring it back to life. If you are going through such a phase and trying a number of methods to feel like the passion filled old days, then you are doing the right thing. The problem in such a situation is that the result is not always satisfactory or effective enough. In such conditions, you need to put in more effort, but doing so without professional help may complicate the situation further. Professional Help – So, the best possible option in such a situation will be seeking professional help. There are well-trained and experienced therapists who are capable of helping you. It is their job to understand the problem and find out the perfect solution to help. To avail the assistance from such a professional, all you need to do is choose the most suitable therapist, regularly attending the sessions, and follow the advice he/she provides. With such kind of help from a reliable and reputed therapist, you will be able to understand the issues better and then put in the effort to save the relationship. 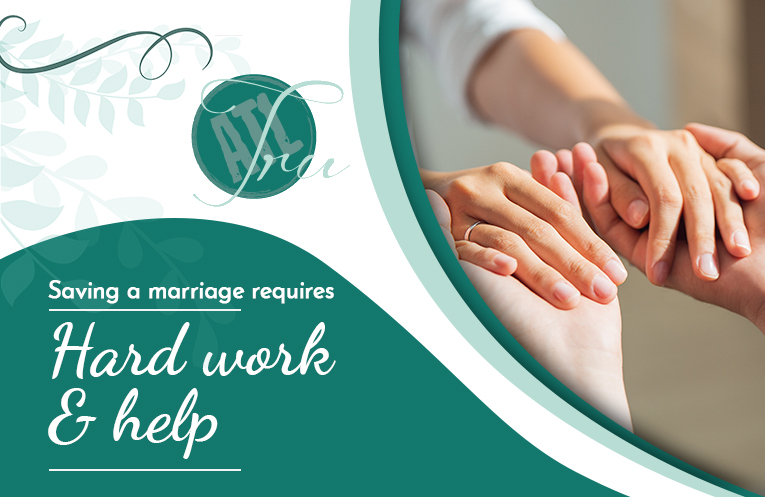 From the above discussion, it is quite clear that saving a marriage is possible through counseling, but the process will take time, effort, and regular care. So, if you are thinking that just visiting a Couples counseling providing clinic and sitting for a session will be enough, then that is not right. If you are truly interested to save the marriage and make the relationship work, then being serious about the steps to be taken will be required too. Only then you can see the result and find out that, saving a crumbling marriage through counseling is possible.